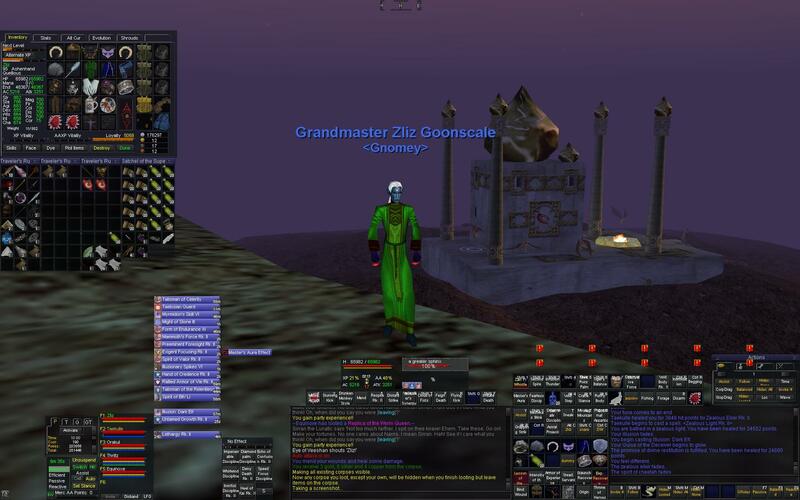 ZlizUI is a custom UI for EverQuest maintained by yours truly. It has been pieced together from many other UI packages, and in part customized by me. The base of the UI is the WatUI, which is a very sleek and minimalistic UI with a blue color tone. It is class-agnostic in the sense that the player window adapts to whether you have mana, endurance or both. The download files and documentation is kept up-to-date on eqinterface.com here: ZlizUI @ eqinterface.com.